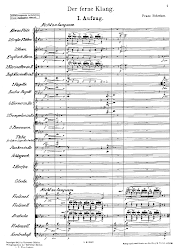 Hindemith conceived his opera Mathis der Maler in response to the situation in which he found himself during the early years of the Nazi regime in 1930s Germany. The dilemma facing artist Matthias Grunewald at the time of the Peasants’ War in Germany in the 1520s whether to fight or paint is one that struck a chord with the composer and is a theme that seems to have lost little of its relevance in today’s fractious world. The war in the story was partly a religious one, as newly inspired Protestants fought with Catholics, and Staatstheater Mainz has mounted the opera to mark the Luther anniversary that falls this year. But Mainz also has the advantage that the work is actually set in the city and features historic figures of the time. There’s no pandering to medieval Mainz in Elisabeth Stöppler’s spare staging, however. Annika Haller’s ‘set’ is merely a raked stage, upon which Mathis chalks texts (unreadable from my seat) as his artwork, surrounded by black curtains on sides and rear. It focuses attention on the characters, and Stöppler makes excellent use of the space in marshalling them. Costumes are contemporary, with even Cardinal Albrecht wearing a business suit beneath his red cape – emphasising, perhaps, the way he is torn between the attractions of the new religion and the financial trappings of his position. The angelic vision of Scene 6 at least allows some brightness to lighten up what is otherwise a very muted palette of colours. Stöppler doesn’t hold back in her portrayal of violence in a society rent asunder by class and religious conflict: the rich are strung up and the fate of the peasants’ leader Hans Schwalb is a bit of a gore-fest. Mathis is an ambitious work for a company of the scale of Mainz’s to mount, but it would be hard to imagine it done more compellingly by a major international house. Admittedly, one or two of the individual singers fall a little short – Lars-Oliver Rühl’s Schwalb struggled with a couple of the high notes in his part and as Ursula, Vida Mikneviciute’s shrill soprano and rapid beat proved to be an acquired taste. But Derrick Ballard’s Mathis was commanding, an assumption to rank alongside his accomplished Sachs, seen both in Mainz and in Detmold. There were moments when a little roughness emerged, but it went with his burly, highly physical portrayal of the troubled artist. Tenor Alexander Spemann was convincing as the cardinal archbishop and Steven Ebel’s contortions made his adviser Capito a particularly oleaginous creep of a character – a sinisterly comic portrayal somewhat at odds with the seriousness everywhere else. If Mikneviciute’s Ursula was a little strident, more subtlety was to be found in the singing of Dorin Rahardja as Schwalb’s daughter Regina. Much of the success of the dramatic performance fell on the expanded chorus, which truly thrilled with the power and focus of its singing. Its members can act convincingly, too – it wasn’t so many years ago that ‘provincial’ German opera choruses could almost be relied upon for their wooden theatrical appearance. The orchestra, too, makes a most impressive sound under Mainz’s GMD Hermann Bäumer, who has no problem maintaining both the momentum and tension in Hindemith’s highly dramatic writing.